In OS X Lion, there is a very useful feature for people like me who need to write in multiple languages, which pops up a small menu of additional characters when you hold down a letter. This is great when I'm writing in French for example. However right now I need to write something in Czech; however, the Czech letter ě (looks like the 3rd letter in the popup with the accent flipped) does not appear in the popup. Is there a way to tell OS X to include Czech or other additional characters in those popups? Note: I do not want to use the Czech keyboard layout; I found switching layouts for each language is somewhat unpractical. The characters included in the popovers are defined in property lists inside the /System/Library/Input\ Methods/PressAndHold.app/ bundle. I was able to change à to y by editing /System/Library/Input\ Methods/PressAndHold.app/Contents/Resources/Keyboard-en.plist and logging out and back in. Disable System Integrity Protection as detailed in How to turn off rootless in Mac OS X El Capitan - MacWorld. Navigate to /System/Library/Input Methods/PressAndHold.app/Contents/PlugIns/PAH_Extension.appex/Contents/Resources/ in the Finder. To go to it quickly, press ⇧⌘G and paste the string in. Find your keyboard plist file. If you are using the English layout, you would be looking at Keyboard-en.plist and if you are using the German layout it would be Keyboard-de.plist. It could have other names as well, depending on your keyboard language. Back this file up by pressing ⌘D. Rename the copy you made to something with "backup" in its name. Open up the original file (without backup in its name) and edit the characters you want to in. After that, save it. Enable System Integrity Protection as detailed in the same page as step 1. Using the info in this thread I answered the same question on MacRumors. I made a custom .plist file specifically for Chinese Pinyin input. So I wanted to link to a plist that is created for Chinese phonetics. You can download it here. I got it to work on OS X 10.11! /Contents/Resources/Keyboard-en.plist (or whatever keyboard you use). In there you can click the drop-down arrows, then double click next to "Keycaps" and change the keys to your desired keys. Not the answer you're looking for? Browse other questions tagged macos lion keyboard internationalization . How can you edit the Accent Menu? 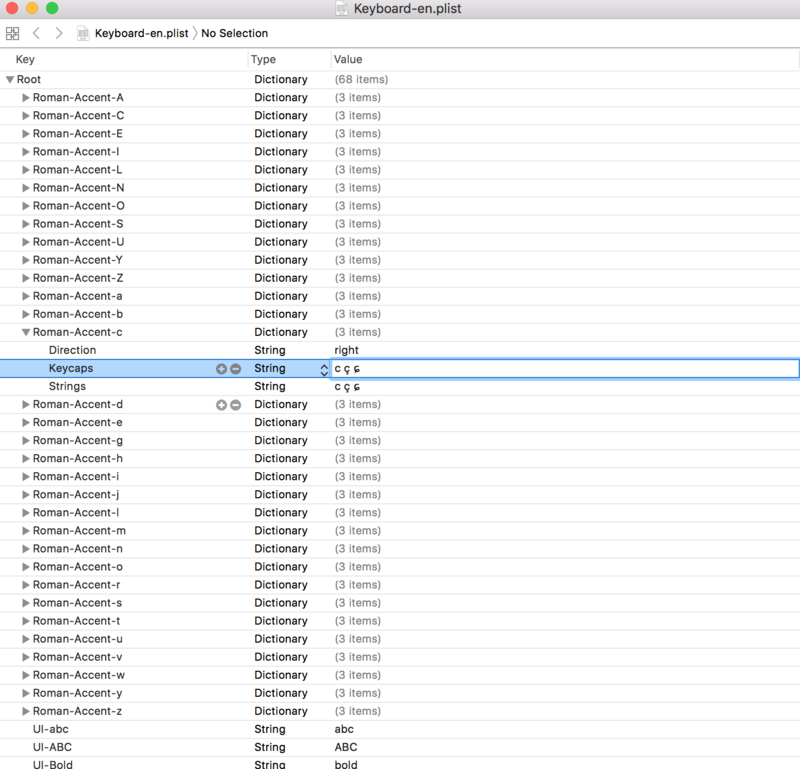 How to define Lion’s key variations in a `.keylayout` file? 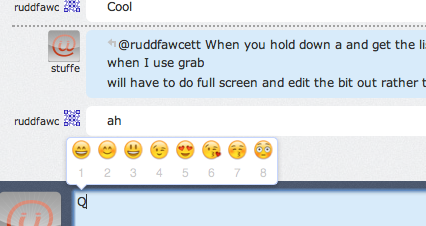 How do I re-enable the Press and Hold character picker on OS X Lion?